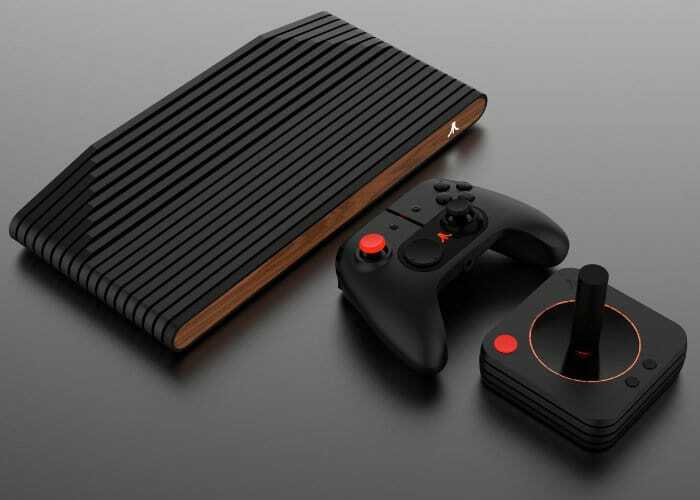 Atari has today made a new update on the highly anticipated Atari VCS console, announcing that the console will receive a hardware upgrade for its APU. Originally specified to be fitted with a Bristol Ridge A10 CPU alongside a Radeon R7 GPU, the console they’ll be upgrade to the latest AMD Ryzen and Vega architectures. Unfortunately Atari also announced that backers of the crowdfunding campaign will need to wait a little longer, with shipments now starting towards the end of 2019 those in the US. Although no details on European release dates have been confirmed as yet. “The Atari VCS will now be powered by a 14nm AMD processor featuring high-performance Radeon Vega graphics architecture and two “Zen” CPU cores. This new processor replaces the model from the “Bristol Ridge” family that had been in the plan since originally selected for the Atari VCS back in 2017. AMD’s all-new Ryzen embedded chip will be faster, cooler, and more efficient, allowing the VCS to benefit from a simpler and more effective power architecture and thermal solution. The new processor includes built-in Ethernet, Native 4K video with modern HDCP, and a secure frame buffer that fully-supports DRM video (Netflix, HBO, etc. ).